Since officially emerging from recession more than three years ago, the U.S. economy has struggled to maintain much momentum, mostly limping along at a below-average growth rate. Unemployment has also remained stubbornly high, hovering around 8% nationally and remaining above 10% in California since early 2009. All of this has led some pundits to declare that the U.S. economy has entered what they are calling a “new normal” when it comes to growth and unemployment. Whether this is truly the case or not, only time will tell. But in the meantime, many Southern California CEOs and CFOs are managing their businesses as if it were true. A strategy for a “new normal” of slower economic growth generally consists of concentrating on improving management of both the bottom and top lines of your business. Or in other words, reducing expenses and increasing revenue. Following are some tips to help you accomplish both of these objectives. Have barriers been erected (either intentionally or unintentionally) that hinder efficient workflow and make it more difficult for your employees to do their jobs? Are your employees still doing things the way they did five or ten years ago because “we’ve always done it that way”? Are key processes still being performed manually when there are more efficient, automated processes available? In his classic management book Good to Great, author Jim Collins put it this way: “Get the right people on the bus, the wrong people off the bus, and the right people in the right seats.” Also make sure that your employees have been properly trained for their jobs, and that they have the tools, technology and equipment needed to perform their jobs at peak efficiency. Boost your marketing and advertising. This is the opposite of the tack taken by most companies when times are tight, but it can provide the fuel needed to turbo-charge your company’s sales and profits—regardless of the economic environment. This is especially true when you consider that many of your competitors are probably cutting back on marketing and advertising, thus providing you with an opportunity to build awareness among your customers and prospects and gain market share. Cross-sell to your existing customers. It costs a lot less to sell more to the customers you already have than to try to acquire new customers. In what ways could your current customers benefit from other products and services you sell that they might not even be aware of? Can you package products and services together (perhaps at a discount) and promote this to your existing customers? Acquire another company. A merger or acquisition with another company—whether horizontal (a competitor) or vertical (a non-competing business in your industry or along your supply chain or distribution channel)—is often the fastest route to increased sales and revenue. But it can be an expensive growth strategy, and there are numerous pitfalls to watch out for—everything from failing to realize hoped-for synergies between the companies to incompatible corporate cultures. Increase your prices. Price increases must be handled very carefully, of course. But given the right circumstances, raising prices can be the most direct way to boost revenue and increase profitability. At a minimum, you should include annual cost-of-living (or COLA) price adjustments to your contracts, or make a point of raising prices subtly at least once a year to account for inflation. Most customers will understand this and not ask questions. Whether we are in a “new normal” economically speaking or not, taking steps like those outlined here is always a good way for Southern California CEOs and CFOs to boost efficiency, reduce waste and increase sales and profits. 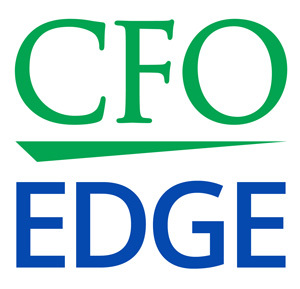 An outsourced CFO services firm can help you by providing chief financial officer expertise gained in each of these areas—and many more.